Dr. Jermaine Whirl has been named vice president for learning and workforce development at Greenville Technical College (GTC), bringing the college’s academic and continuing education offerings together under the same leadership. This move will further the college’s goal of providing more efficient and effective pathways for students to move between credit and non-credit offerings, improving access to education and leaving graduates well prepared for success. For example, a student seeking a fast solution to workforce preparation might begin in the college’s Quick Jobs program, gaining job skills in 90 days or less. That student could enter a career and later earn certifications in order to qualify for promotions. If the student chose to pursue an associate degree, demonstrated knowledge and skills obtained through the certifications could translate into college credit applied toward the degree requirements through the college’s prior learning assessment review process. Integrating both divisions will provide a wide variety of educational opportunities. With the college since October 2016, Whirl previously served as vice president of Economic Development and Corporate Training. 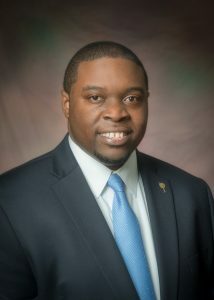 A South Carolina native, he began his postsecondary education at Trident Technical College, earned a bachelor’s degree at Winthrop University, a master’s degree at Charleston Southern University, a second master’s degree at Armstrong State University, and a doctorate in organizational leadership at Valdosta State University. Whirl came to GTC from Gwinnett Technical College in Georgia where he served for two years as dean of the School of Business and the School of Art & Design. Prior to that, he worked for Georgia Southern University as a visiting instructor of management and as special assistant to the chair. Academically, he’s served as a dean of adult education, dean of academic affairs, visiting professor of business, and assistant professor of business economics. Within economic development, he’s worked to craft memorandums of association (MOAs) and memorandums of understanding (MOUs) with the U.S. Military and Goodwill of The Coastal Empire and North Georgia, while supporting training efforts for a host of private sector companies during his tenure in Georgia.